Enhanced Clustering Support for Microsoft Windows – Microsoft Cluster Server (MSCS) for Windows 2000 and 2003 and Windows Server 2008 Failover Clustering is now supported on an VMware High Availability (HA) and Dynamic Resource Scheduler (DRS) cluster in a limited configuration. HA and DRS functionality can be effectively disabled for individual MSCS virtual machines as opposed to disabling HA and DRS on the entire ESX/ESXi host. Increase in vCPU per Core Limit – The limit on vCPUs per core has been increased from 20 to 25. This change raises the supported limit only. It does not include any additional performance optimizations. Raising the limit allows users more flexibility to configure systems based on specific workloads and to get the most advantage from increasingly faster processors. The achievable number of vCPUs per core depends on the workload and specifics of the hardware. Enablement of Intel Xeon Processor 3400 Series – Support for the Xeon processor 3400 series has been added. ESX 4.0 Update 1 requires a host reboot and VM shutdown. VMware View 4.0 support — This release adds support for VMware View 4.0, a solution built specifically for delivering desktops as a managed service from the protocol to the platform. Pre-Upgrade Checker Tool — A standalone pre-upgrade checker tool is now available as part of the vCenter Server installation media that proactively checks ESX hosts for any potential issues that you might encounter while upgrading vCenter agents on these hosts as part of the vCenter Server upgrade process. You can run this tool independently prior to upgrading an existing vCenter Server instance. The tool can help identify any configuration, networking, disk space or other ESX host-related issues that could prevent ESX hosts from being managed by vCenter Server after a successful vCenter Server upgrade. HA Cluster Configuration Maximum — HA clusters can now support 160 virtual machines per host in HA Cluster of 8 hosts or less. The maximum number of virtual machines per host in cluster sizes of 9 hosts and above is still 40, allowing a maximum of 1280 Virtual Machines per HA cluster. File Level Restore (FLR) provides a way to access individual files within restore points for Windows virtual machines. In previous versions of Data Recovery, FLR was provided as an experimental feature. File Level Restore feature is now officially supported. The integrity check process is faster and more stable. Note that integrity checks are computationally intensive processes and can take significant periods of time. The exact amount of time integrity checks take varies based on of the size of the deduplication store. Even with these enhancements, integrity checks that take several hours are not unexpected. When an integrity check is running, a progress indicator is displayed. This progress indicator has been improved, although it does not provide the optimal level of detail. 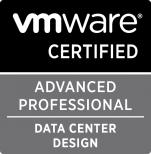 This week VMware posted KB article 1010839 on licensing ESX 4, ESXi 4 and vCenter 4. I get many questions in class about the new license assignment process for vSphere. This KB article has a nice video demonstration and very concise text direction for assigning licenses.